Digital Content, only available as download! Processing by e-mail, no CD! 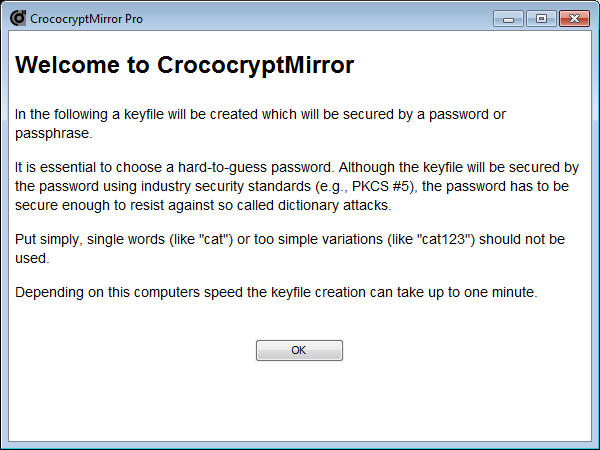 CrococryptMirror Pro is licensed under our End-User License Agreement (EULA). 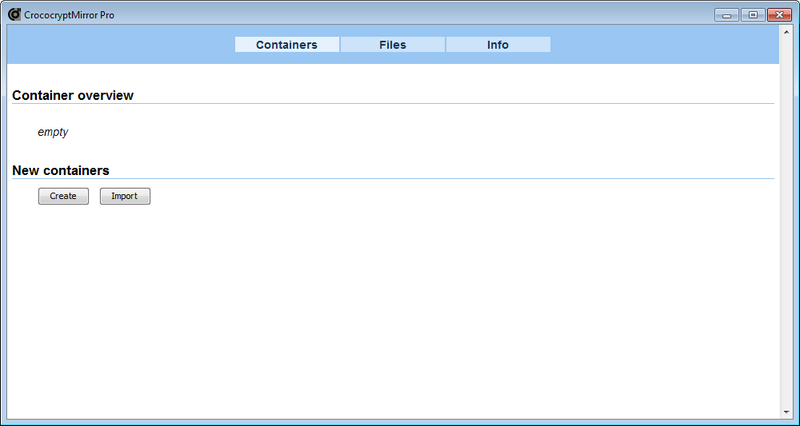 Based on the famous Freeware product line, tested, e.g., by gHacks and "ilovefreesoftware". 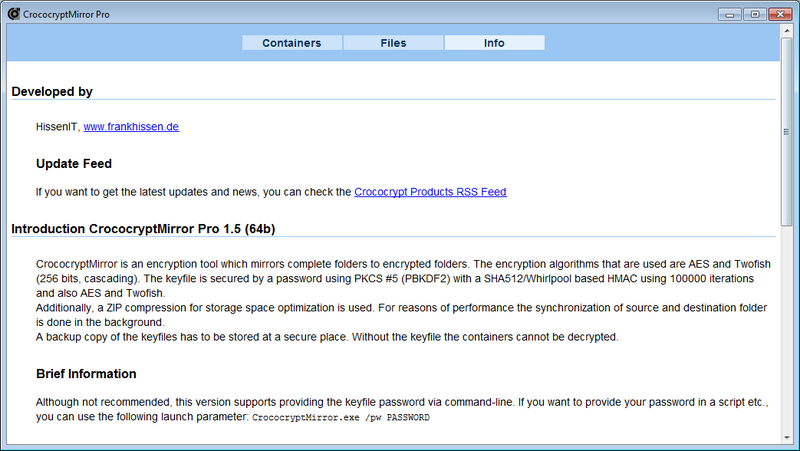 CrococryptMirror is a Backup Software and an Encryption Tool in one. 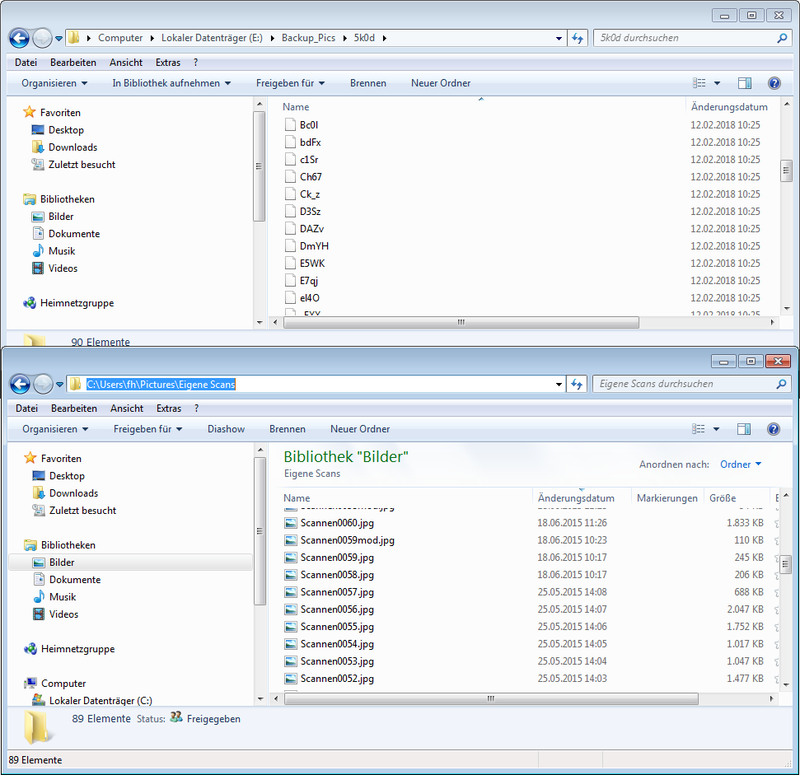 It mirrors user-selected folders to encrypted folders. 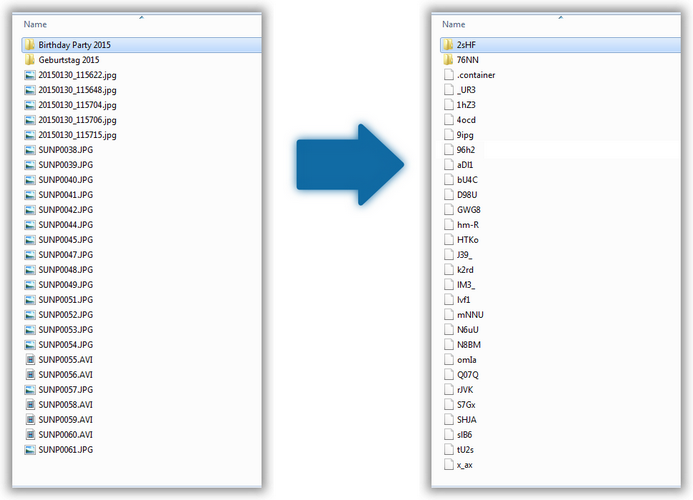 The destination folder can be any external storage, another folder or network share. In case a local folder is already synchronized with a cloud storage, that way an encrypted cloud backup can be accomplished. 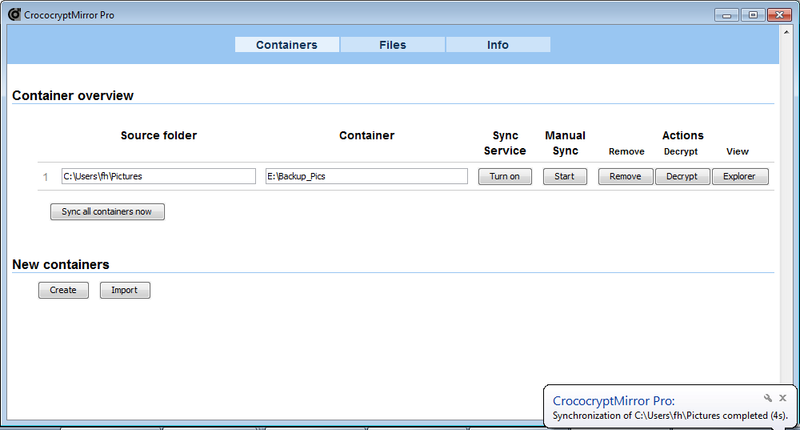 Please note that CrococryptMirror performs file-based backups only, system backups / images are not supported at this point! The encryption algorithms that are used are the industry standards AES-256 and Twofish-256. The used keyfile is also highly secured using common standards (PKCS#5/PBKDF2). 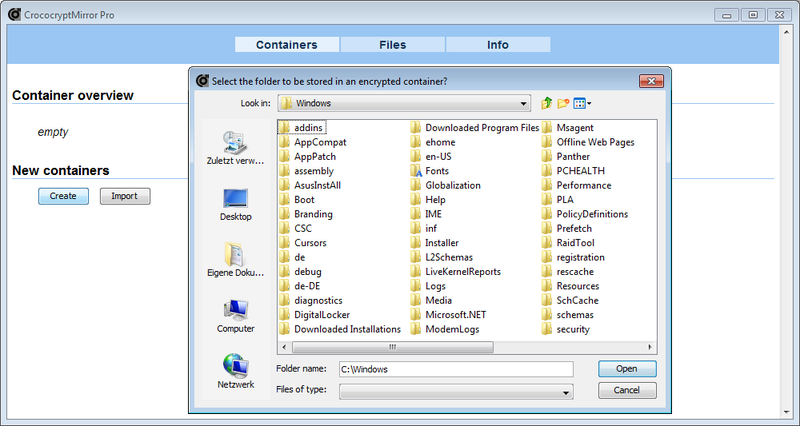 Storing the encrypted data is done using individual, compressed files. Hence, incremental / iterative updates can be performed fast and only single files that have changed have to be updated (ideal, e.g., for Cloud Uploads). 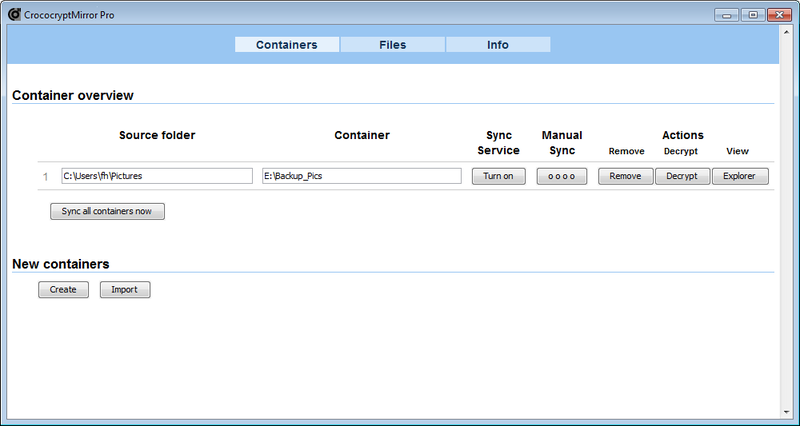 The mirroring process is a real 'mirror': For instance, deleted files are also removed in the backup etc. The offered version here is the portable version of CrococryptMirror. 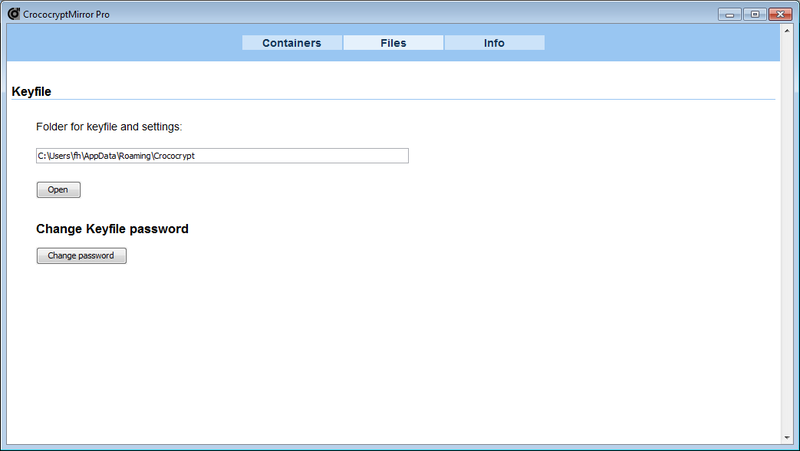 Keyfile and settings are stored together with the application itself. Hence, the complete software including backup data can be stored on, e.g., an external hard drive and can be used without installation. 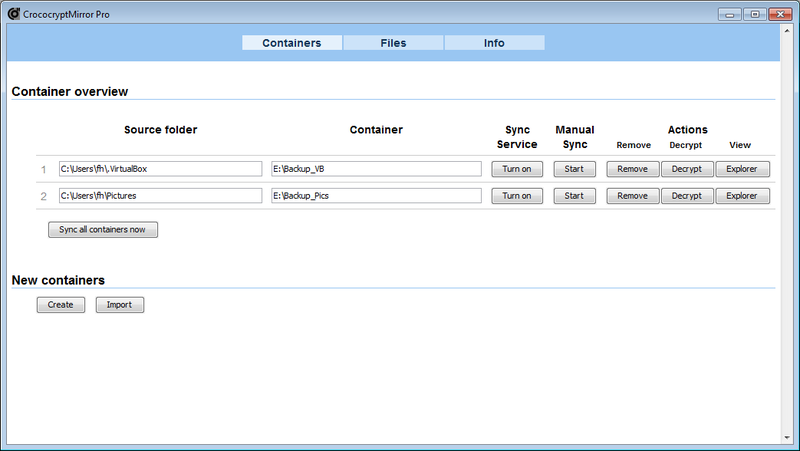 Mirroring can be done manually (on-demand) or by using the sync service which detects directory changes on the fly. You purchase both, the 32bit and 64bit version zugleich. The 64bit version is generally faster than the 32bit version. Explorer View/WebDav using Windows 10: The Windows 10 "Creators Update" from 2017 caused a problem with the WebDav access of local URLs. This was then fixed by Microsoft. In case the Explorer View causes problems on your system, please make sure your Windows system's update/patch level is up-to-date. 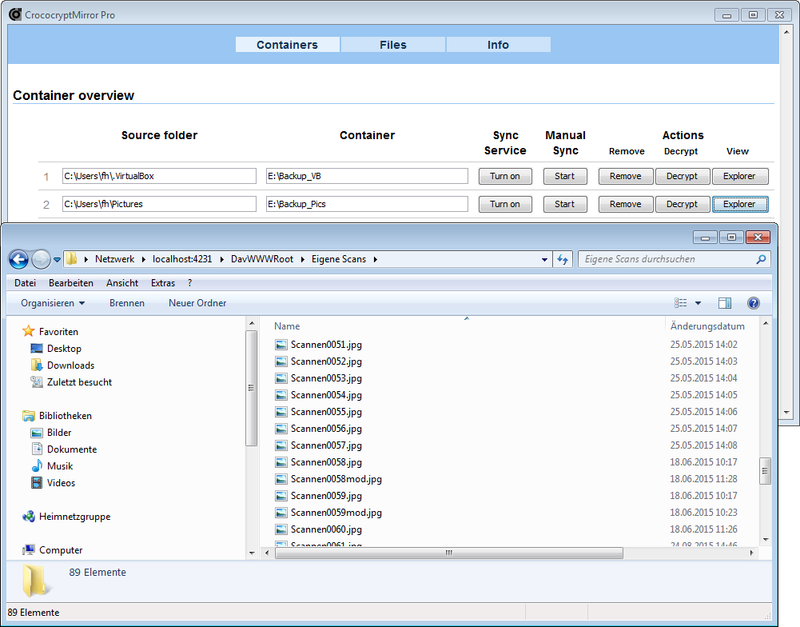 The URL used for the WebDav-based Explorer-view also works in every local Web browser (e.g., Firefox) and allows a different way of browsing through your containers. Windows "God Mode": The so called "God Mode" is causing unsolvable errors, unfortunately. These can partially cause CrococryptMirror to crash without comment. Hence, this special Windows setting can currently not be supported.